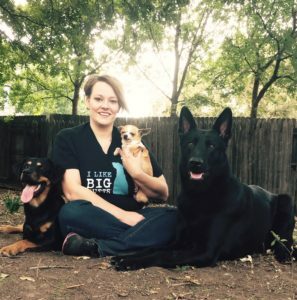 K9 League Dog Training is dedicated to making a positive impact in the everyday lives of dogs, helping them achieve fulfilling lives primarily by teaching their humans the skills necessary to properly communicate with and train their canine friends. We believe there are no bad dogs, only bad decision makers. Our training will help your dog make better decisions and become reliable in your everyday adventures. Once training skills are set and your dog progresses, opportunities for working around greater distraction are available through group class field trips. Our love for dogs and passion for sharing our knowledge is the heart and soul behind this company. We can’t save every dog, but by thinking globally and acting locally we are making a difference one dog at a time. We are here to support you and train your dog to your desired level. Chances are we have been in the same shoes as you are now with your four legged family member. So when we say we understand, we really do. 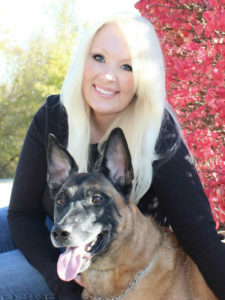 Head trainer and owner of K9 League with her loyal K9 of 8 yrs Harko.